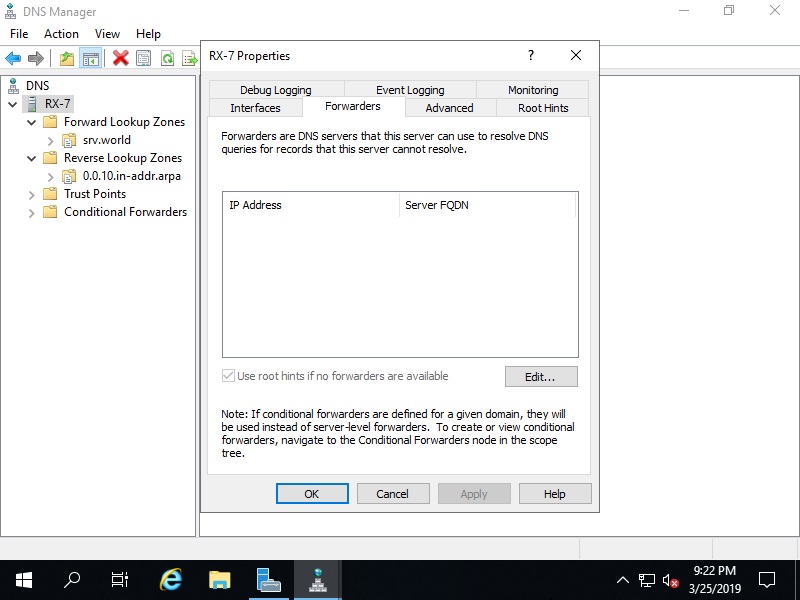 Set DNS Forwarder to transfer queries to other DNS Servers. For example, set [10.0.0.10] as a DNS Forwarder. 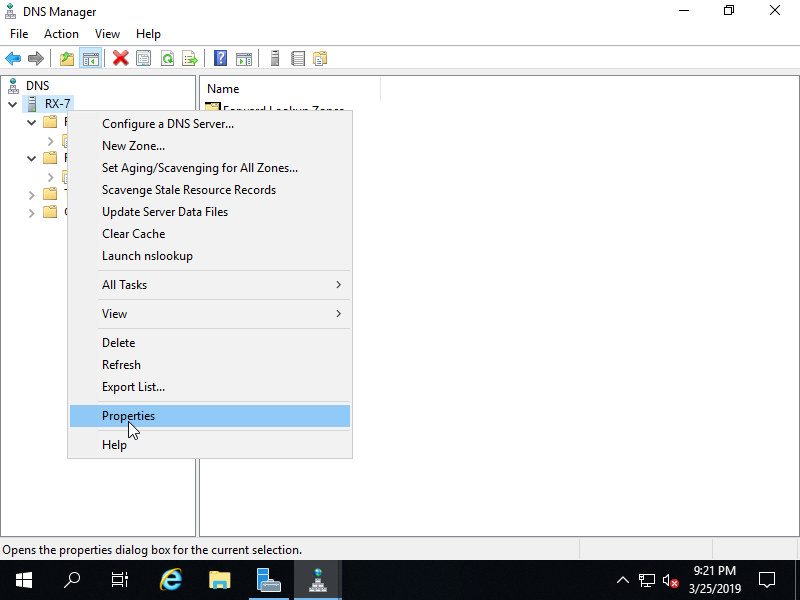 Run Server Manager and select [Tools] - [DNS], next right-click the Hostname and select [Properties]. 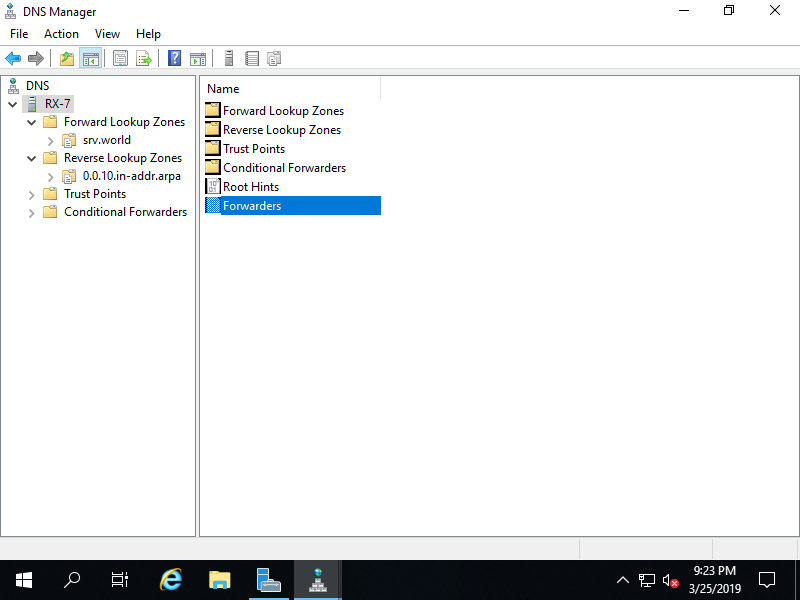 Move to [Forwarders] tab and Click [Edit] button. 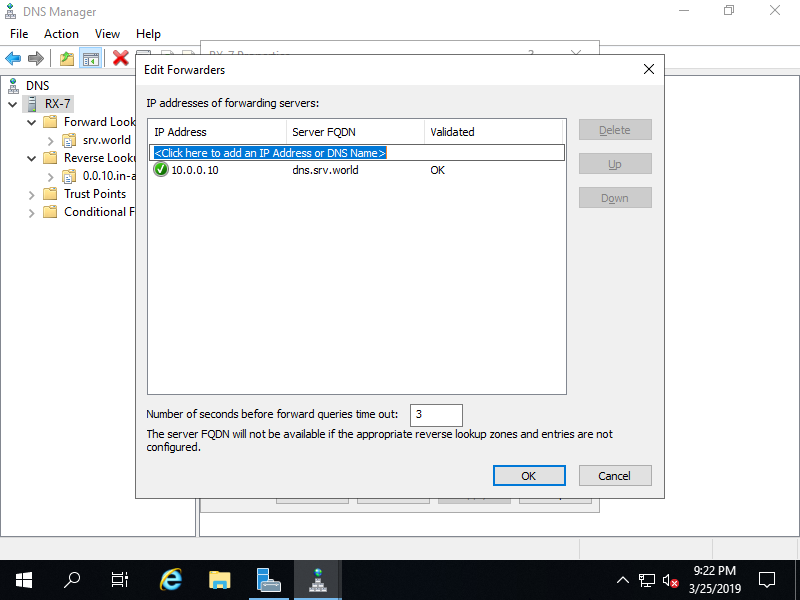 Input Hostname or Ip address you'd like to set as a Forwarder. DNS Forwarder is just added.